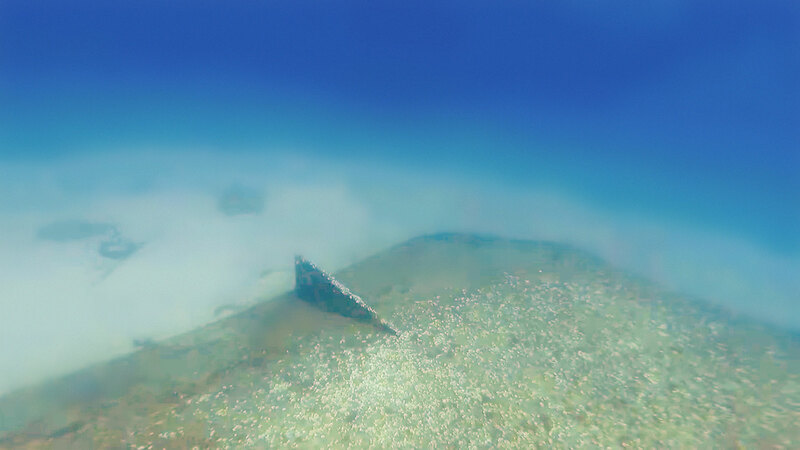 Fireworks barge wreck is situated in St Julian’s Bay between Exiles and Spinola. The barge was used as a fireworks launching platform. It sank overnight between 7th and 8th September 2009, after a series of fireworks explosions damaged it in the evening of 6th September. The wreck is located in shallow water opposite the Cavallieri Hotel towards the middle of the bay. The barge capsized while sinking, and is upside down on sandy bottom with maximum depth of 10 metres. There are mooring stones and lots of bricks around, but not much marine life in the area. The wreck is relatively unknown but nevertheless an interesting dive.